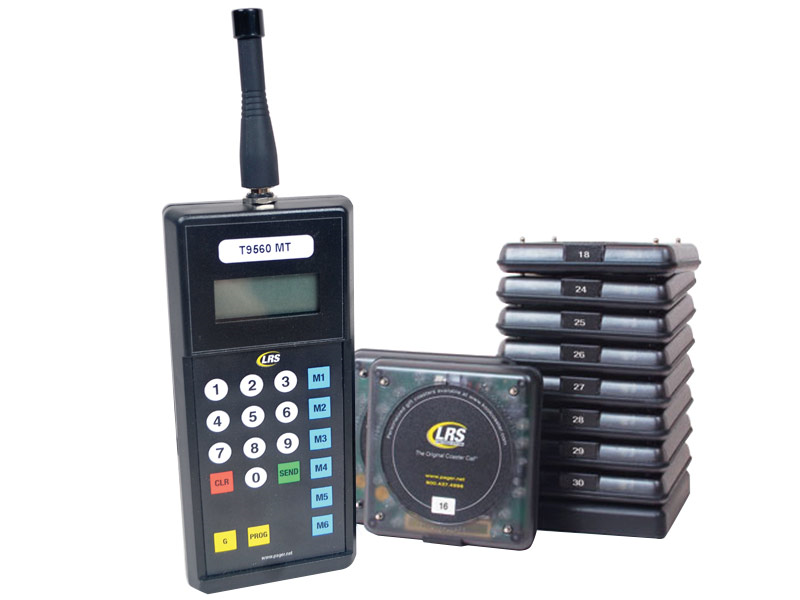 Let LRS Guest Pager Systems streamline your restaurant's seating and hosting duties. These kits come with a charging station, coaster-style guest pagers, and a transmitter, eliminating the worry of purchasing the right hardware. Once installed, customers waiting for a table receive a pager and are discretely alerted when their table is ready. The systems also help minimize the time between seated diners, increasing your overall return on investment. Pagers are a great customer service tool to utilize in your busy restaurant. They eliminate congestion in your waiting area and provide a sense of security for your hungry patrons who worry about another party taking their place in line. Find it faster! Click here to compare Guest Paging Kits models by feature.